Oak Flat Bottom Swing Discounts Apply ! 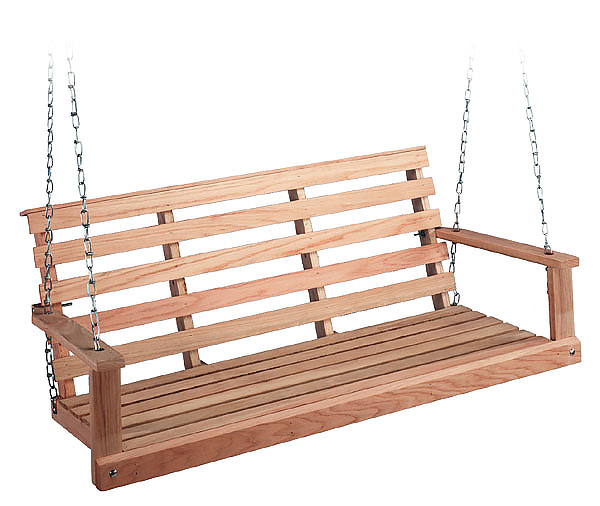 The Flat Bottom Oak Swing is bound to be a delight in your yard for years to come! Featuring solid oak and handcrafted in the USA, each piece is made to order by dedicated craftsmen. Offered in 2 sizes, the 4' and 5'.